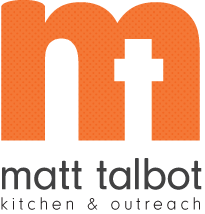 Thank you for your interest in becoming a volunteer at Matt Talbot Kitchen & Outreach! Volunteers are a vital part of accomplishing our mission to serve those in need and we appreciate your willingness to share your time and talents with us. Please click on the "Individual Volunteer Application" or "Group Volunteer Application" link to see the current volunteer opportunities. If you are interested in one of the openings listed, please complete the short application. If you don’t see an opening that works with your availability or interests, check back in a few weeks as we will update the website when volunteer needs change. If you would like to hold a drive for Matt Talbot, a list of needed items can be found here. Thank you for choosing Matt Talbot for your volunteer experience!